Miniature Solenoid Valves are an all-purpose, space saving, solution for a broad range of applications ranging from pharmaceutical, analytical and instrumentation. PIF takes a closer look at what Miniature Solenoid Valves do, what applications they're used for, and the key manufacturers of these handy types of solenoid valve. What are Miniature Solenoid Valves? Miniature Solenoid Valves are miniature general service, isolation, and pinch valves for the precise and reliable control of liquids and gases in medical equipment, analytical instrumentation, and industrial applications. Miniature Solenoid Valves can be found in a range of general service, isolation, pinch, proportional valves, and manifold assemblies for fluid control applications. 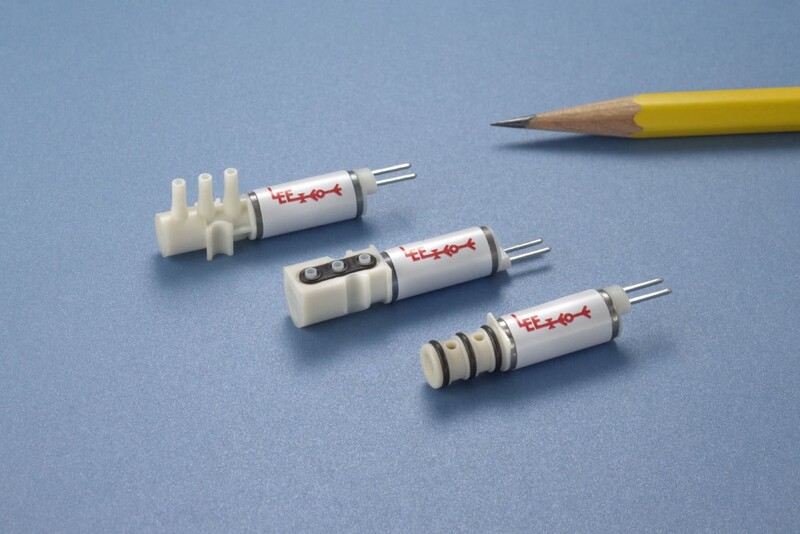 Miniature valves are generally used for environmental controls, medical devices, pharmaceutical, analytical, scientific, marking/labelling, instrumentation, and textile industries, as well as for gas analysers, clinical diagnostic equipment, gas chromatographs, and dental equipment. Lee miniature piloting solenoid valves combine space and weight savings with superior performance and reliability. They are adept in demanding applications, such as aerospace, hydraulic and fuel systems, oil exploration/production, car racing, and other challenging high pressure applications. Incorporating innovative design and advanced technology, they demonstrate exemplary space and weight savings and power consumption. The lightest version weighs under 0.14 lbs. (2.3 oz.) and uses only 7.8 watts at 28 Vdc. Each subcomponent and manufacturing process has been optimized to ensure a design with the highest performance, longest life, and highest reliability - all within the smallest envelope possible. Parker also have a broad ranging catalogue of high speed miniature solenoid valves, with extremely low leak rates, that are ideal for medical device manufacturers. Their X-Valve is an ultra-miniature two-way, three-position valve. Despite its minuscule size, it handles flows to 10 lpm at 30 psig and its flow rates exceed other miniature solenoid valves in its class. Mainly because the coil and body are combined in a single unit with a unique flow design. ASCO's miniature valve products are assembled, and 100 per cent factory tested, in an ISO Class 8 equivalent cleanroom. As well as their extensive range of miniature solenoid valves, they can also create customised assemblies, from minor modifications of a catalog product or a complete flow control solution, ASCO's engineering teams can assist. 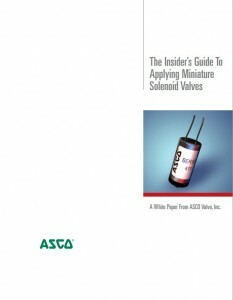 Click on the image below to view the Asco Miniature Solenoid Valve White paper.